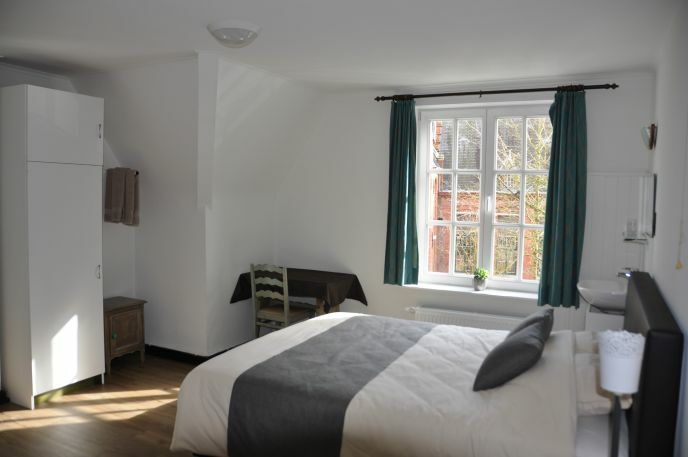 Room on the first floor with hot water sink. New two-person box spring for super sleep comfort. Central heating, beautiful view on the old St. John's Hospital. Bathroom with shower, toilet per floor. coffee and tea facilities in the room. Free Wi-Fi. Free Parking at the back of the hotel. 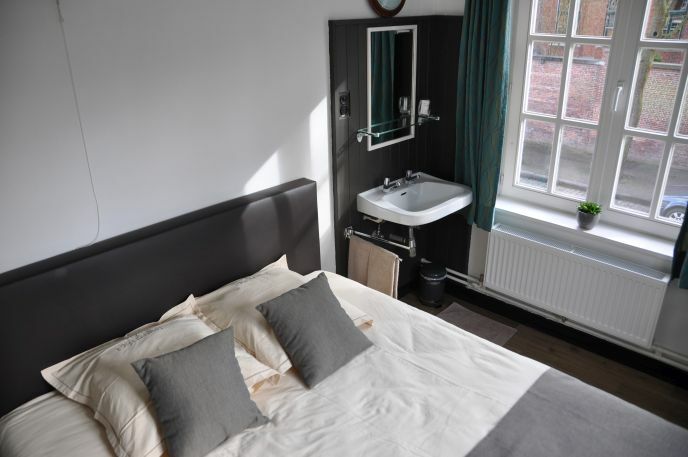 Small double room on the second floor with sink with hot water. New two-person box spring for super sleep comfort. Central heating. Bathroom with shower, toilet on the floor. coffee and tea facilities in the room. Free Wi-Fi. Free Parking at the back of the hotel. The room for single use, with view on the garden. Breakfast is included in the room rate. 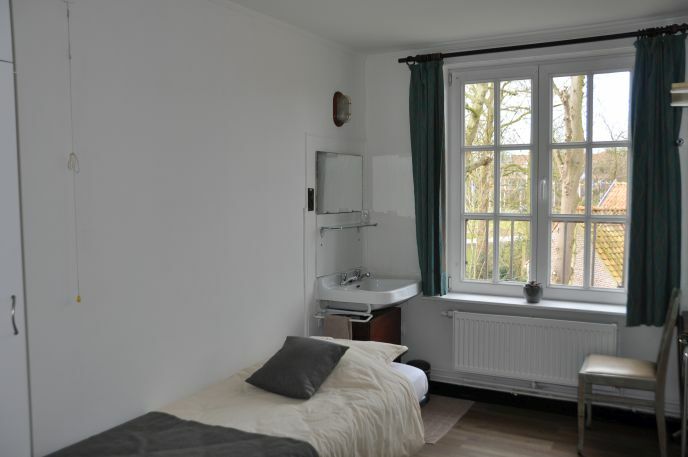 Small double room on the second floor with sink with hot water. 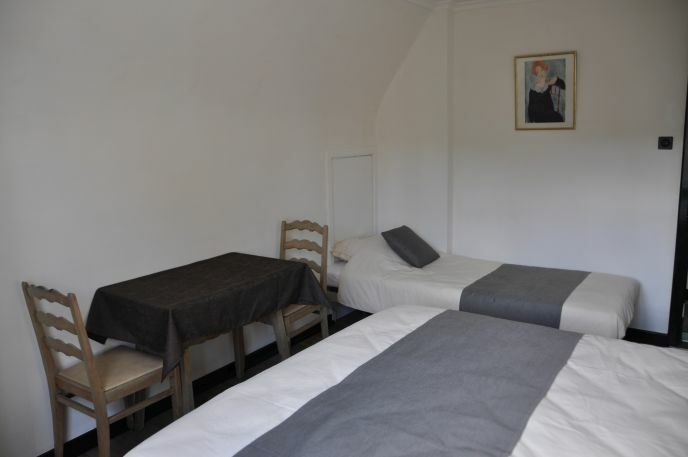 Twin room with two single beds Central heating. Bathroom with shower, toilet on the floor. coffee and tea facilities in the room. Free Wi-Fi. Free Parking at the back of the hotel. The room for single use, with view on the garden. Breakfast is included in the room rate. 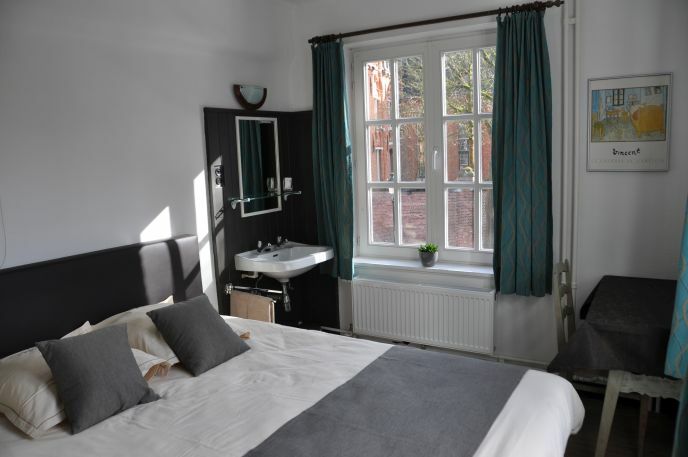 Room on the second floor with hot water sink. New two-person box spring for super sleep comfort, and a single bed in the room Central heating, beautiful view on the old St. John's Hospital. Bathroom with shower, toilet per floor. coffee and tea facilities in the room. Free Wi-Fi. Free Parking at the back of the hotel. Room on the second floor with hot water sink. Two new two-person box-springs for super sleep comfort. Central heating, beautiful view on the old St. John's Hospital. Bathroom with shower, toilet per floor. coffee and tea facilities in the room. Free Wi-Fi. Free Parking at the back of the hotel.